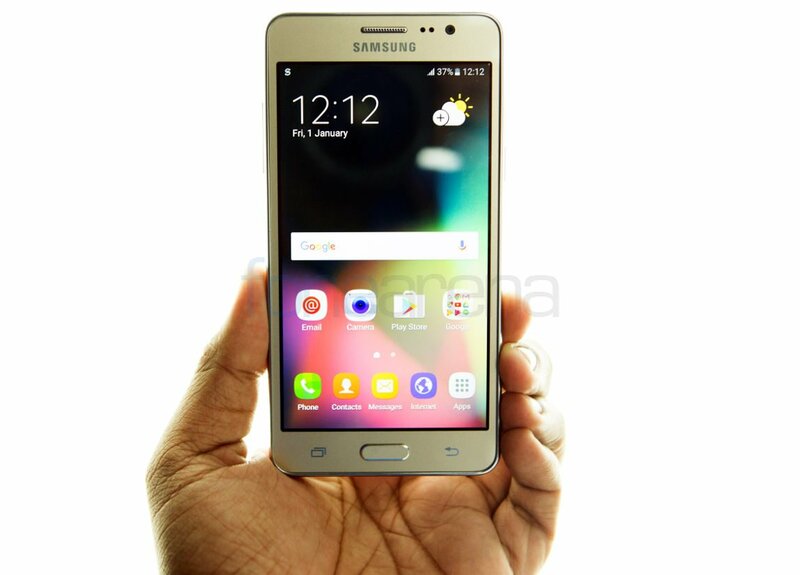 Zauba has once again listed another of Samsung's mysterious smartphones entering India for testing purposes. 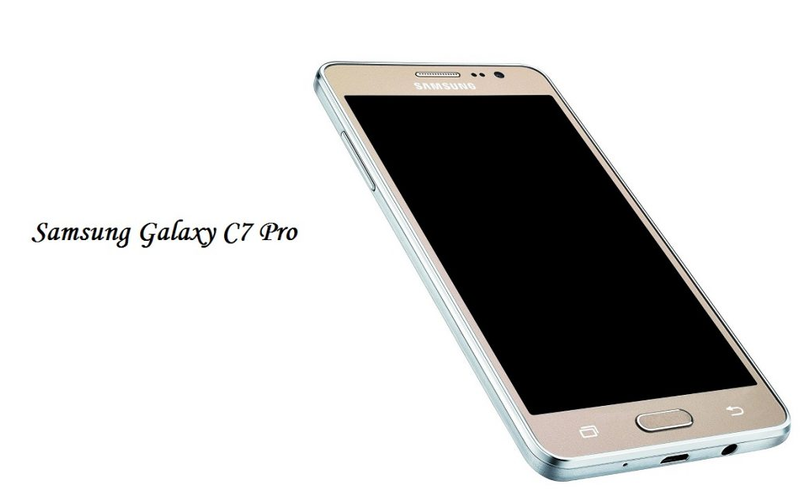 This time, it is the C7 Pro with the model number SM-C7010 that was seen in the two listings. Unfortunately, the listing did not provide too much information on the internals of the handset. 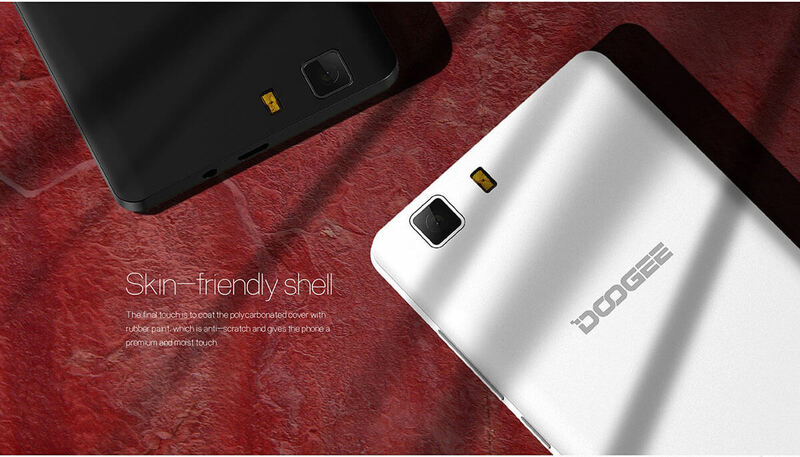 The only thing we know for sure is that it will have a 5.7-inch Super AMOLED panel. Although the price per unit is mentioned as Rs 13,645 ($205), we are positive that it isn't the final price tag that we are going to see on the C7 Pro, given that the regular C7 itself costs around $435. The C-series is one of the new entrants in the market, introduced in 2016 by Samsung and it looks like that the entire series is going to get a reboot by the end of 2016. 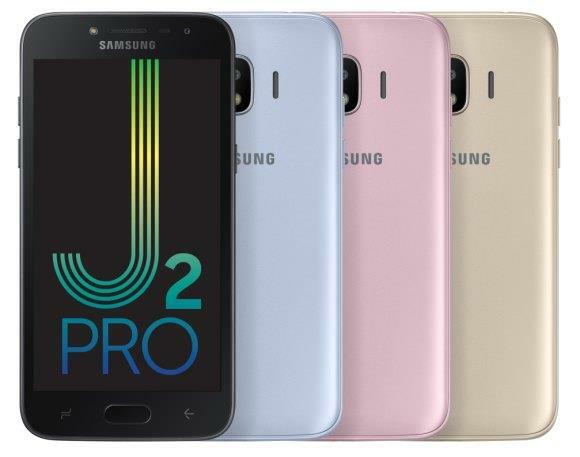 However, unlike the "2017" moniker which the company is using to distinguish its upcoming range of new J-series smartphones from the old ones, they are using "Pro" in this case to do the same. We are more interested in seeing Samsung's first 6GB RAM smartphone, the Galaxy C9 Pro than any others in the C-series though. 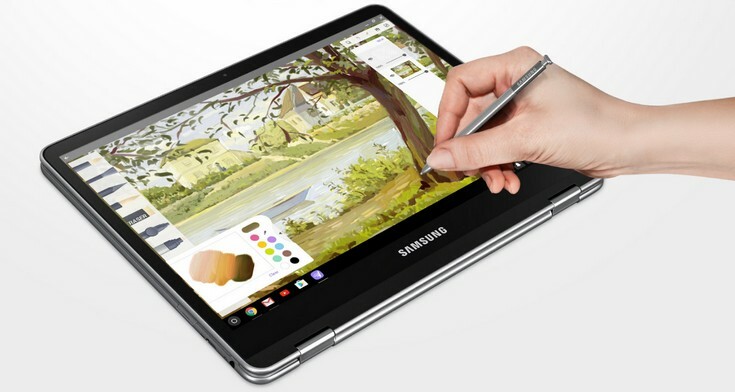 Samsung Chromebook Pro with a stylus? The tragic early death of the Note 7 might have left you with the yearning for a device that natively supports stylus input and Samsung plans to fill that hole with a Chromebook laptop which supports the S-Pen. Even though the new stylus looks exactly like the S-Pen we saw on the Note 7, this one is just called the "PEN." The Chromebook Pro features a 2,400 × 1600 pixels resolution display presented in a 3:2 aspect ratio. The 12.3-inch, 360-degree rotating touch sensitive display can be rotated all the way back to be used as a large tablet as well. We are sure that it offers similar, if not better pressure sensitivity via the PEN, as compared to what we saw on the Note 7. 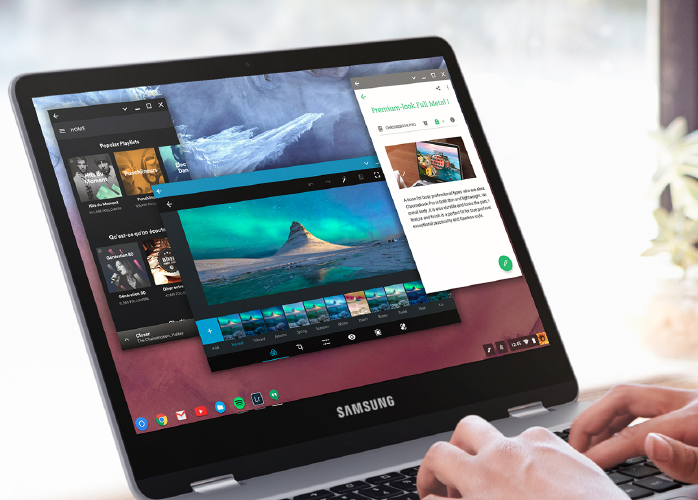 Under the hood, the Samsung Chromebook Pro is powered by two Cortex A72 cores and four Cortex A53 cores, which make up the 64-bit hexa-core CPU. There are also 4 gigs of RAM, 32GB of internal storage, a micro-SD card slot and even two USB Type-C ports. The lightweight (1kg) laptop/tablet hybrid is available for pre-order at a price of $499. Will you be ordering one? 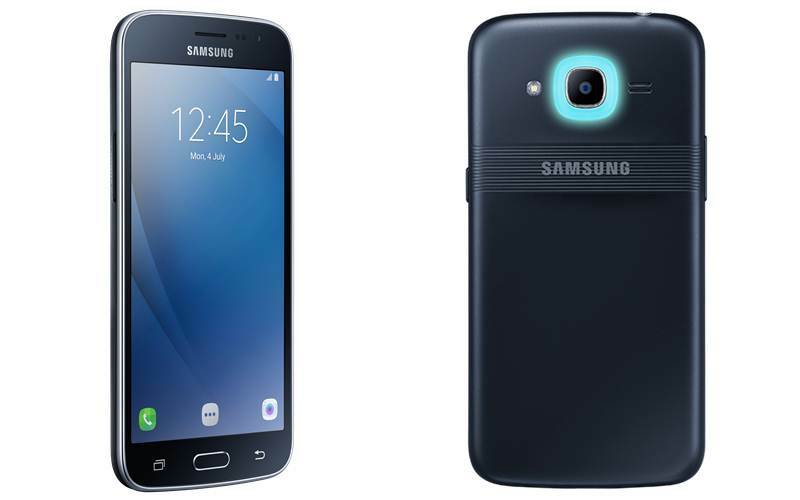 India gets another exclusive device from Samsung in the budget category as the OEM announced the J2 Pro today. Samsung seems to be introducing a series of new smartphones to the subcontinent with the "Pro" moniker, boosted by slightly better hardware than their regular versions. As of now, we have the J2 (2016) Pro, J3 (2016) Pro, On5 Pro and the On7 Pro. 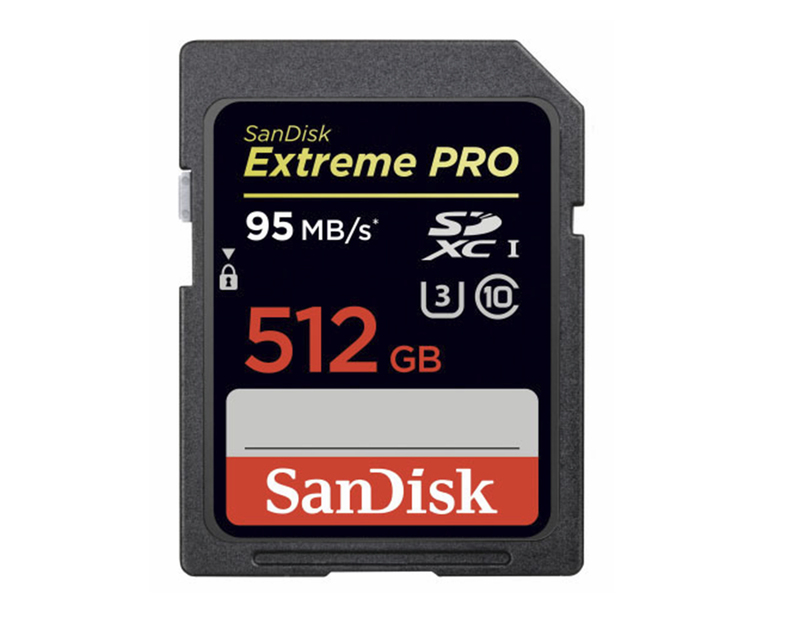 We can see two major hardware upgrades in the Pro version, as compared to the regular edition and they are in the RAM and internal storage department of the device. 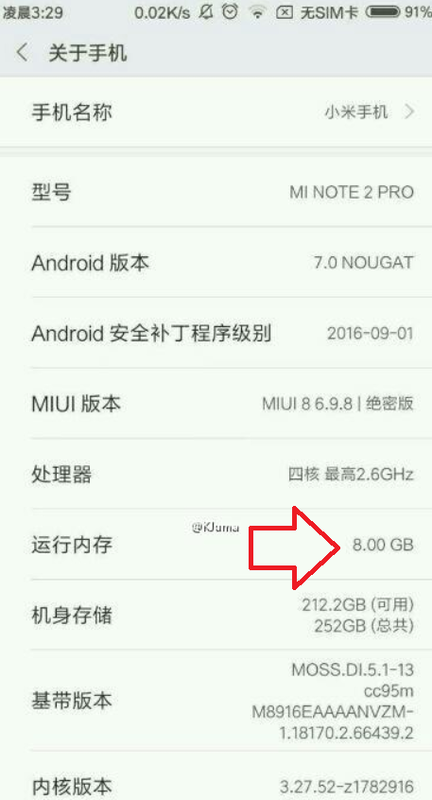 The J2 Pro will sport 2GB of RAM and 16GB of internal storage, as compared to the 1.5GB of RAM and 8GB of internal storage on the J2 (2016). 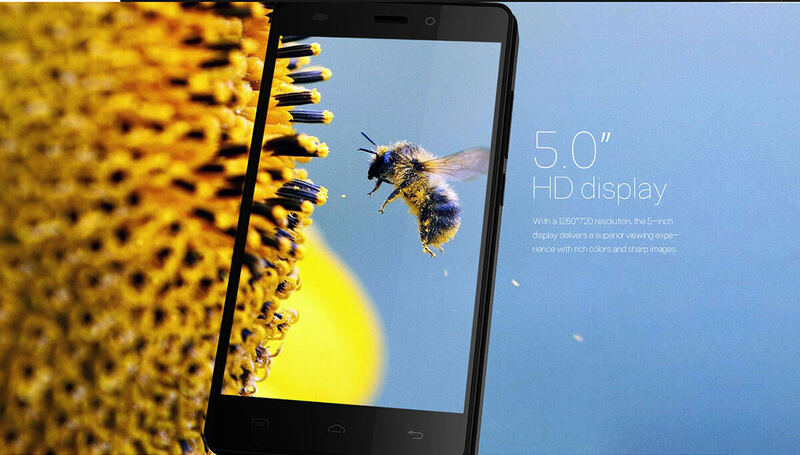 All other features, including the 1.5GHz Cortex A7 quad core processor and the 720p display remain the same. In case you are interested in buying the smartphone, you can only do so from the Indian online retailer, Snapdeal for INR 9.890 ($150). The three color options of gold, silver and black are pretty much what we have come to expect from Samsung's low to mid range phones nowadays. 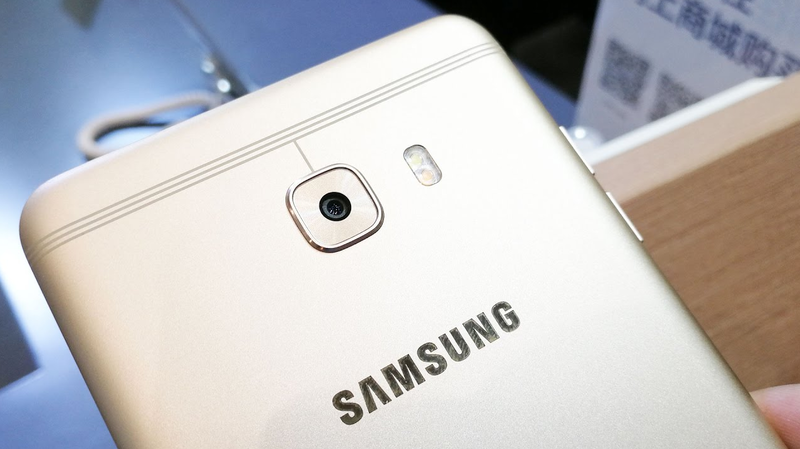 In the past few years, we have seen Samsung catering to the Chinese market with a lot of attention. 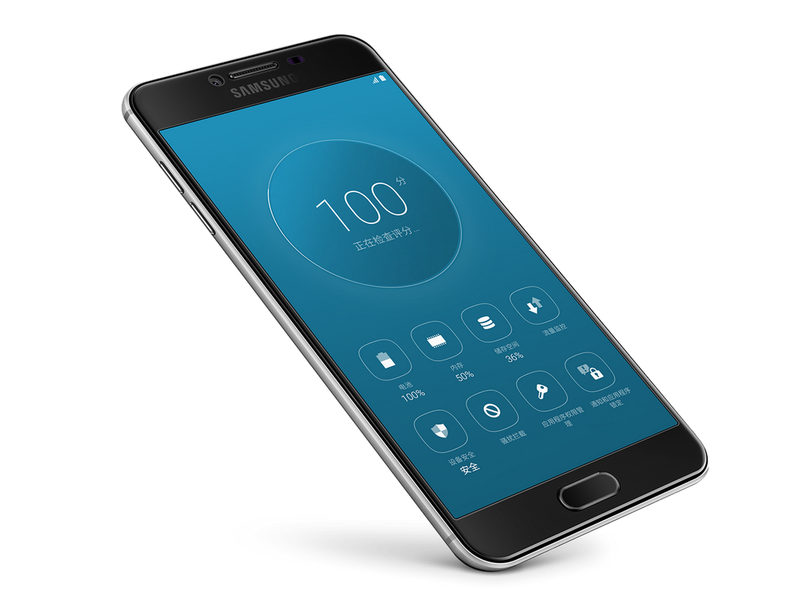 They have had recent exclusive releases like the Galaxy A9 Pro and in the past, the very A-series was launched in China first. 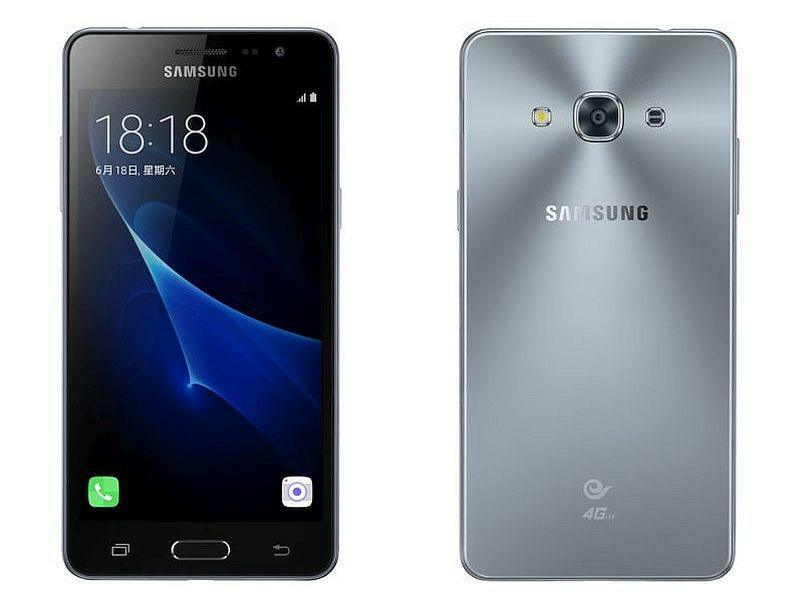 Samsung just launched another smartphone that will be exclusive to China, at least for now. This is the brawnier brother of the J3 2016 that the OEM released earlier, expectedly named, J3 Pro. 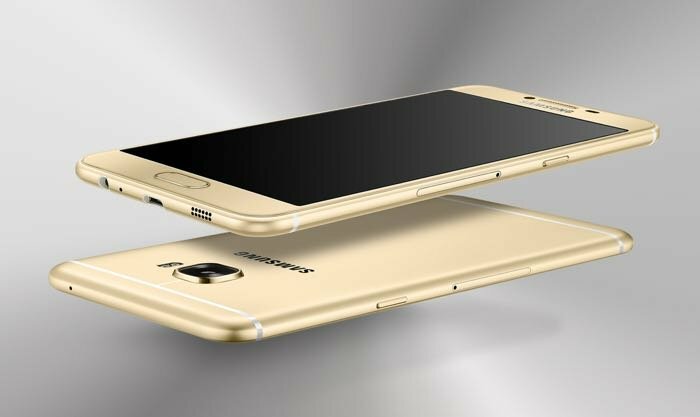 The J3 Pro will feature Samsung's Super AMOLED panel, albeit at 720p resolution on its 5-inch screen. 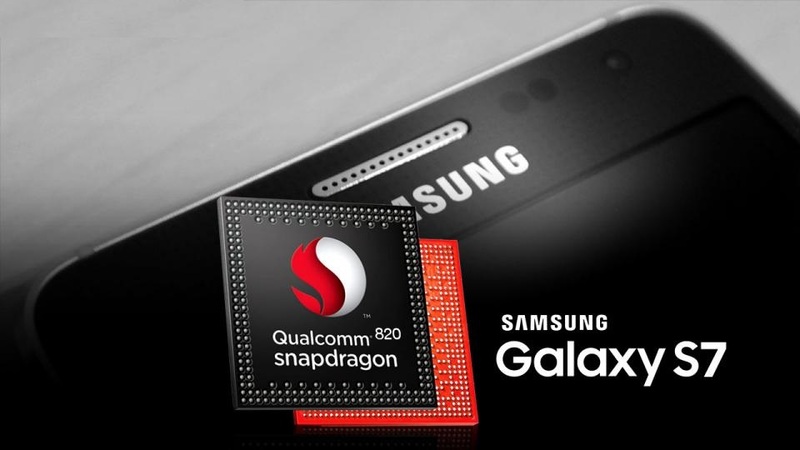 Samsung is powering the device with the dated Snapdragon 410 SoC and 2GB of RAM. 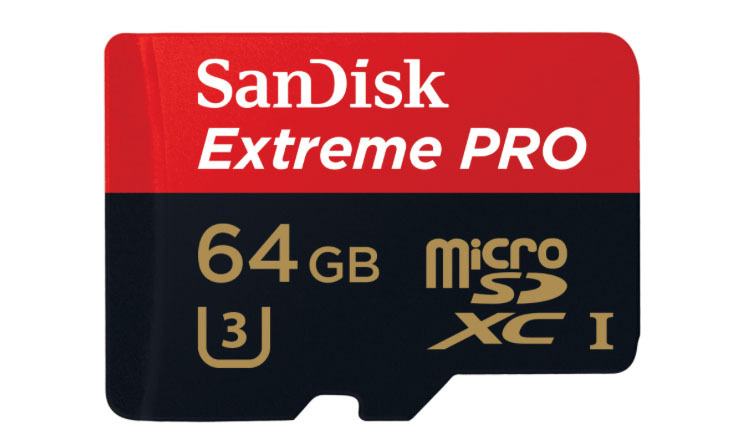 There will be only a 16 gig variant, but with expandable memory up to 128GB via SD card. 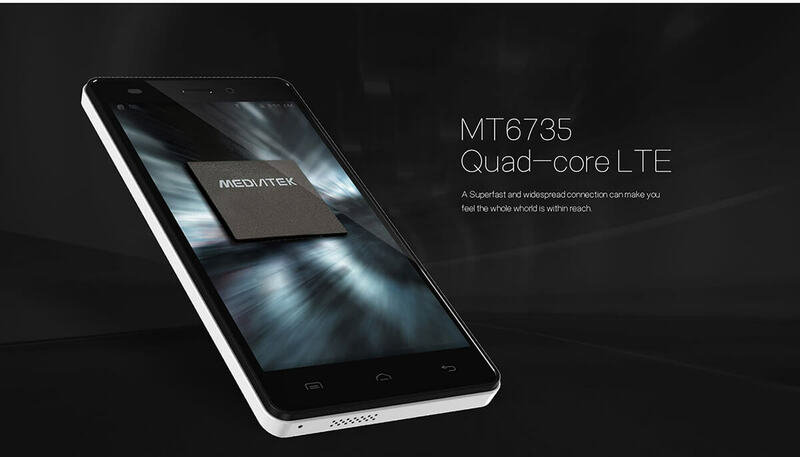 The smartphone will support dual SIM and unfortunately, it will run on Android Lollipop 5.1.1 out of the box. There will be an 8-megapixel rear camera with f/2.0 aperture and a 5-megapixel selfie cam. 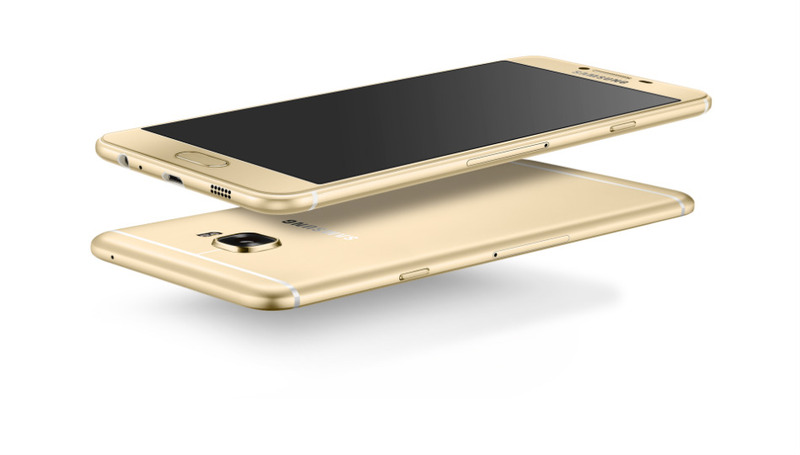 To power all this, Samsung has endowed the J3 Pro with a healthy 2,650 mAh battery. All in all, we think that Samsung will have a hard time finding a good market for the J3 Pro in China, which is the home to the kings of budget smartphone manufacturers like Xiaomi and OnePlus. 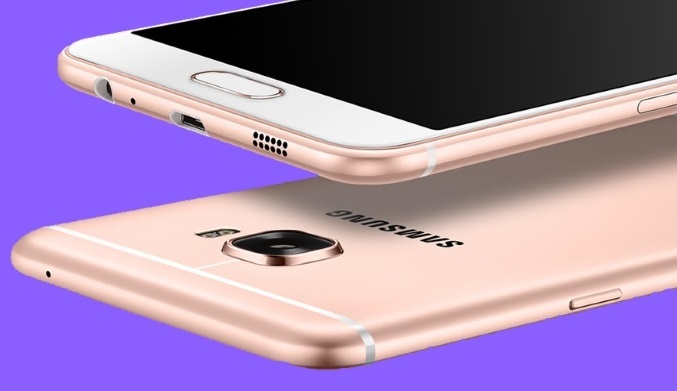 As expected and rumoured earlier, the next iterations of the Samsung Galaxy On5 and On7 are out now, but they are not called "2016 Editions" like we expected. 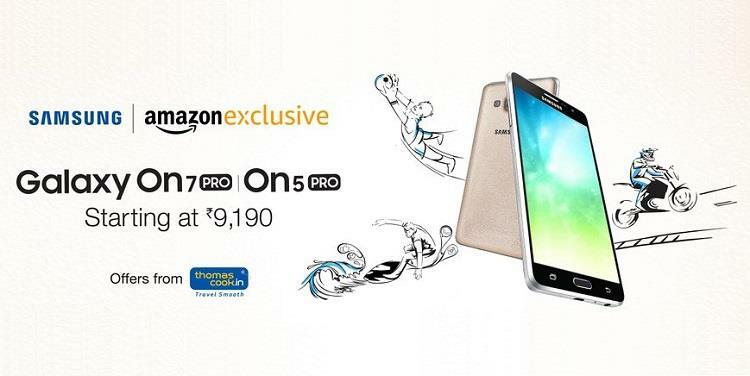 Instead, Samsung has dubbed the two smartphones as Galaxy On5 Pro and On7 Pro. Both the phones are exclusive to India just like their predecessors, but will sport better hardware (only slightly so) and software. S-Bike mode, Ultra Data Saving Mode, etc. We were disappointed to see that the processors on both the devices have not been upgraded, in spite of them being dated now. Then again, that's what we have come to expect from budget Samsung devices anyway! 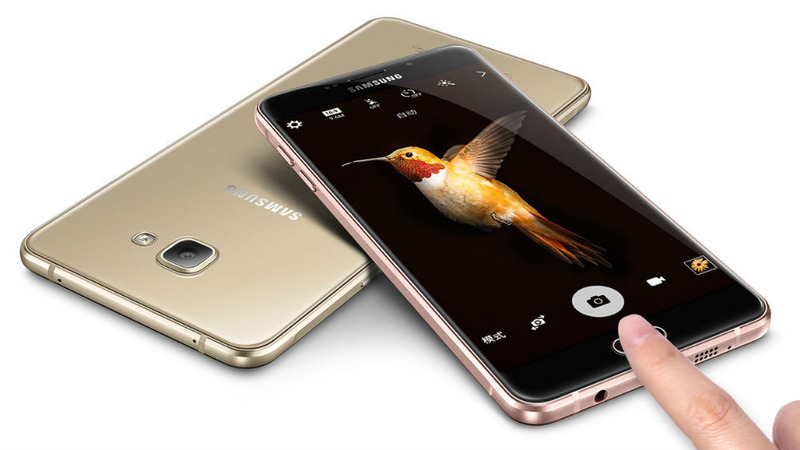 The Samsung Galaxy C9 Pro is now official as it was unveiled earlier today in China. This is the first smartphone from Samsung's arsenal to come equipped with 6 gigs of RAM, as well as a Qualcomm Snapdragon 653 SoC. 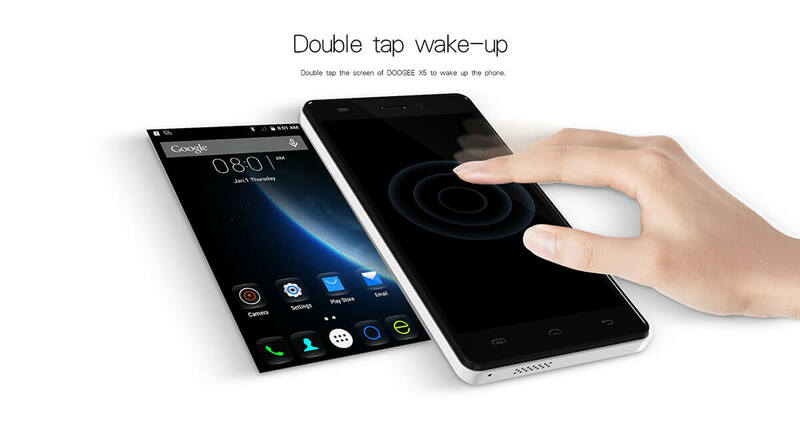 The huge phablet sports a 6" display that's even larger than Samsung's Note series of smartphones. However, in spite of being larger, the panel sports a lower resolution than the company's flagship smartphones as it is Full HD, instead of Quad HD. 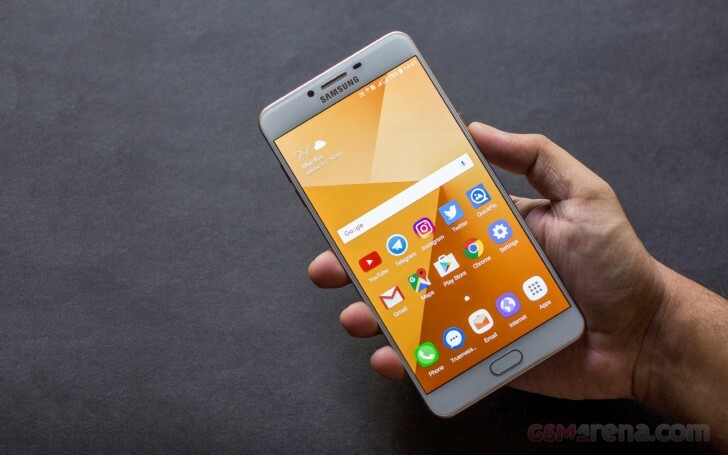 Other specs of the phablet include 64GB of internal storage, a micro-SD card slot, 16-mp sensors for both the rear and the front camera with f/1.9 aperture, a 4,000mAh battery, dual SIM slots with 4G LTE support, fingerprint sensor, Cirrus manufactured Hi-Fi audio codec, a 3.5mm audio jack, NFC, Samsung Pay, Android 6.0.1 and an all metal body. We are particularly interested to see how the octa-core SD 653 performs, which is powered by four Cortex-A72 cores and four Cortex-A53 cores. The powerful Adreno 510 GPU supporting the CPU cores should also be able to take care of any modern Android games that you throw at it, especially since it's only a 1080p panel on the C9 pro. Apple released a new lineup of devices this year... the iPad Pro, iPhone 6S, iPhone 6S Plus and Apple Watch. All these new devices are running iOS 9 and powered by Apple A9 chipset which is said to be the most advanced and fastest CPU so far. What you may not know that all these devices are actually Powered by Samsung, the Korean giant is the main manufacturer and supplier for the Apple A9 chip. Apple have chosen Samsung to build its CPUs since the Apple A6, admitting that Samsung is the best hardware supplier in the industry even though the companies are in a serious competition in markets and court too. 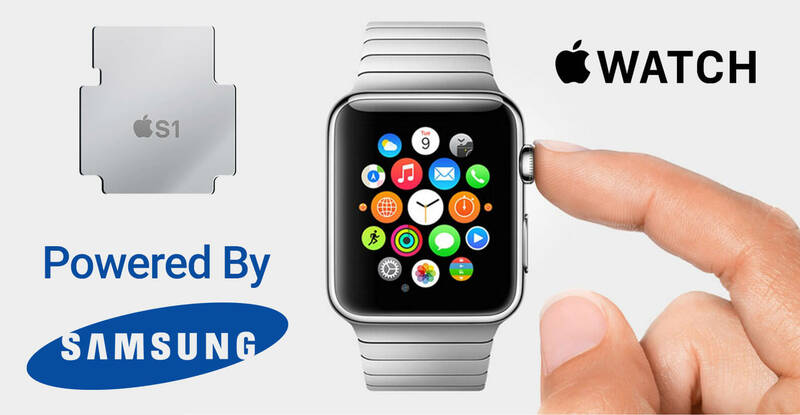 Also, Samsung has been allegedly employed to provide between 3,000 and 4,000 12-inch silicon wafers for the Apple S1 SiP (which powers the Apple Watch) each month, based on Samsung's 28nm manufacturing process for all Apple Watch variants. 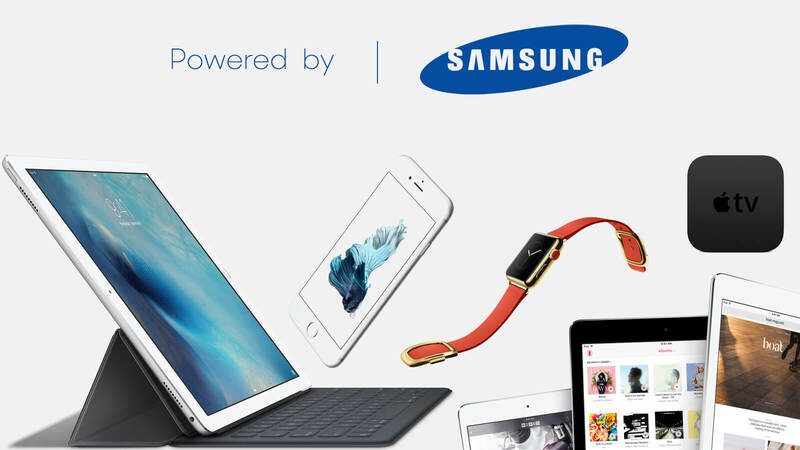 This clearly tells that Samsung has a big part of the Apple's devices success. 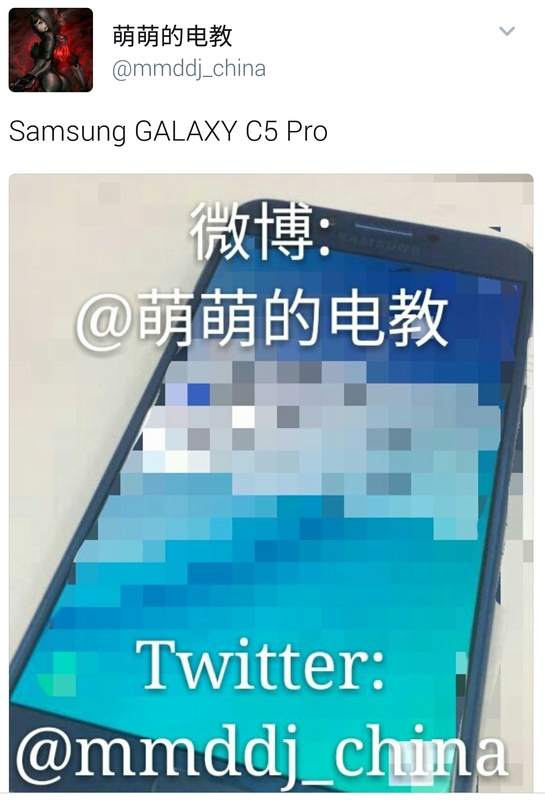 Even though earlier leaks had suggested that both the Galaxy C7 Pro and the C5 Pro would be released this December in China, that doesn't seem to be the case anymore. 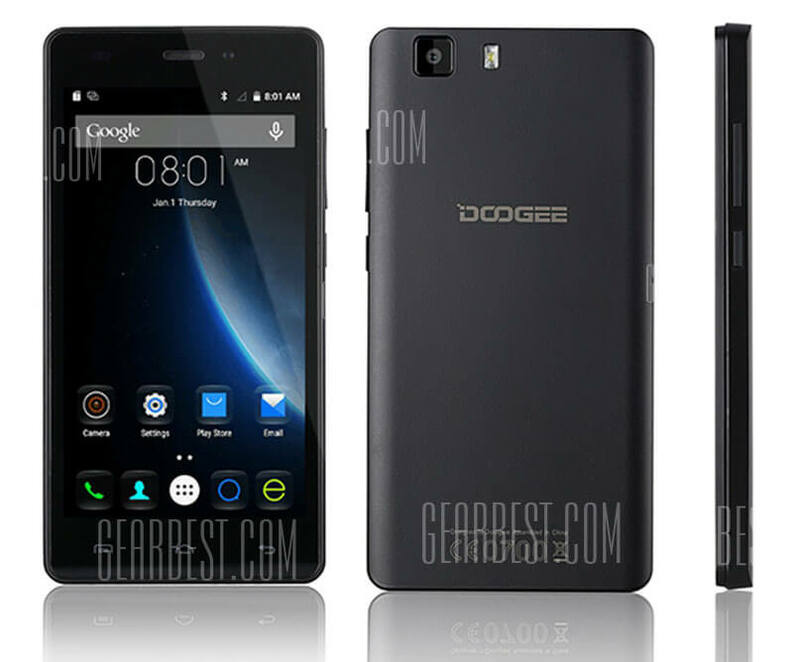 According to a leak on Weibo, the two handsets will instead be released next month. No reasoning was specified on the report, as to why the launch has been delayed by a month. It was only in October that the two smartphones were spotted while being imported to India for R&D purposes. They have since been seen on benchmarks as well and here's what we know (based on rumors) about the two upcoming devices so far. Keep in mind that most of these specs are speculated and may not match the final product accurately. 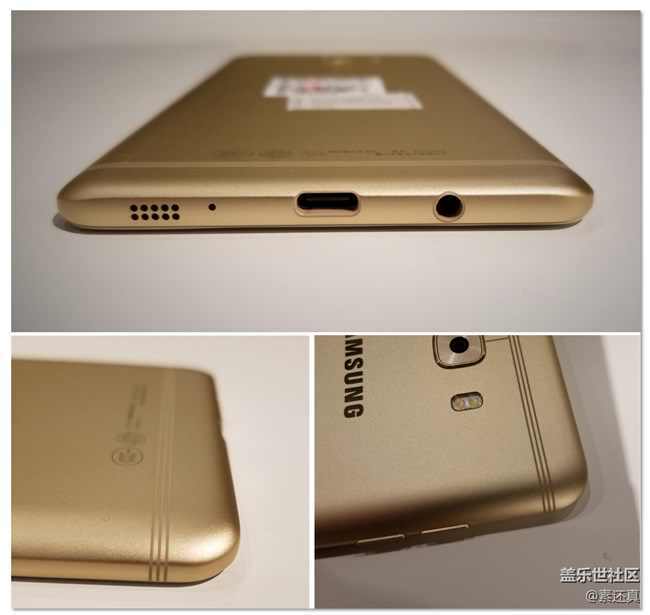 It was just a few days ago that we got our first look at the Galaxy C5 Pro, courtesy of a leaked image and today we have another leak which is even bigger. 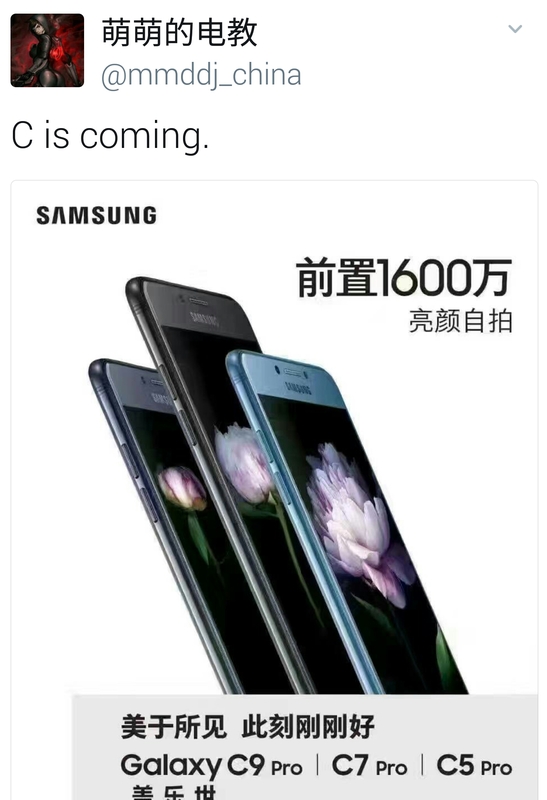 The same leakster who had unveiled the blurred image of the C5 Pro on Twitter a few days ago, has now unleashed a full blown poster from what seems to be straight from the house of Samsung. @Mmddj_china tweeted, "C is coming," along with a picture that shows the C5 Pro, C7 Pro and the C9 Pro in three varying colors, including what seems to be a Blue Coral variant as well. The image clearly mentions the three handsets separately and even has the Samsung logo on top to give it that sense of authenticity. Although I am no expert when it comes to reading Chinese to be honest, but from what can be seen in the image, it looks like there is a mention of 16-mp cameras. What this could mean is that all the three handsets will share the same 16-megapixel cameras both in front and the back. We will have to wait and find out more. Given that the release date isn't really that far off now, the wait shouldn't be too long. It was only a few days ago that the Galaxy C7 Pro was launched in India and the device is already receiving the latest April security patch from Samsung in the region. This would be the first official update for the device from Samsung in India and it's a welcome one as it patches up the Android security gaps which pops up every month and subsequently needs to be patched in. The SMALL package of 35.4 MB will reach all eligible smartphones in the region via OTA and the users whohave not been auto-notified to update their phones yet, should get the [prompt any time now. The build number of the firmware is MMB29M.C701FDDU1AQCA and doesn't seem to be bringing anything other than the SMR update to the Galaxy C7 Pro. We don't have any information about the Chinese variant receiving the same yet, but it is definitely a possibility. The Apple event this Thursday revealed a piece of software and a new series of upgraded laptops to us. Unfortunately, the TV app designed for Apple TV and all iOS devices won't be available for us to check out till December. The other announcement or the main focus of the event was the new line of MacBook Pro laptops that we knew were coming. Apple brings an OLED Touch Bar to the new MacBook Pro that will enable easily access to Photoshop shortcuts, emojis, FaceTime and any other third party app that will eventually begin to support it. Touch ID brings added security and Apple Pay to your laptop via a fingerprint scanner that's identical to what we are used to seeing on the iPhones. 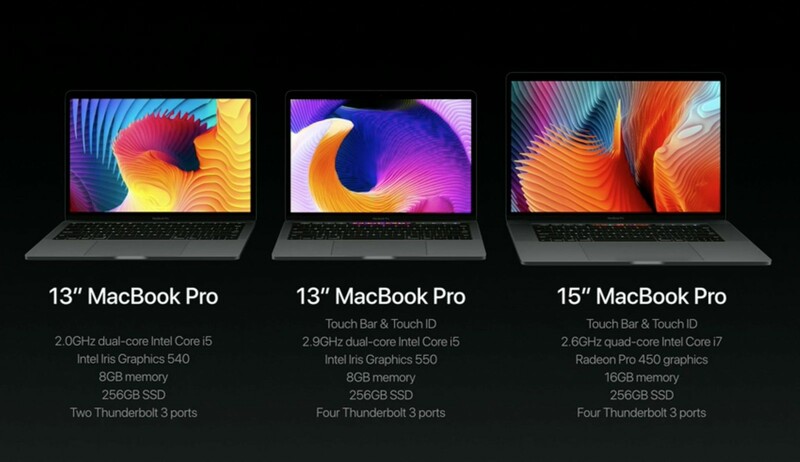 The new line is even thinner than the previous gen MacBook Pros, with the 15-inch model weighing in at just four pounds. It was good to see that a multitouch glass trackpad has been added which is more comfortable and easier to use, thanks to its significantly bigger size. In fact, even the backlit keyboard feels better to type on, due to of larger keys and a new design. Connectivity is limited to four Thunderbolt 3 ports and surprisingly, a 3.5mm audio jack. What this means is that it is impossible to plug in even the new iPhones or the new EarPods into the laptop without using a dongle. You will need a separate dongle for pretty much everything else as well unfortunately. 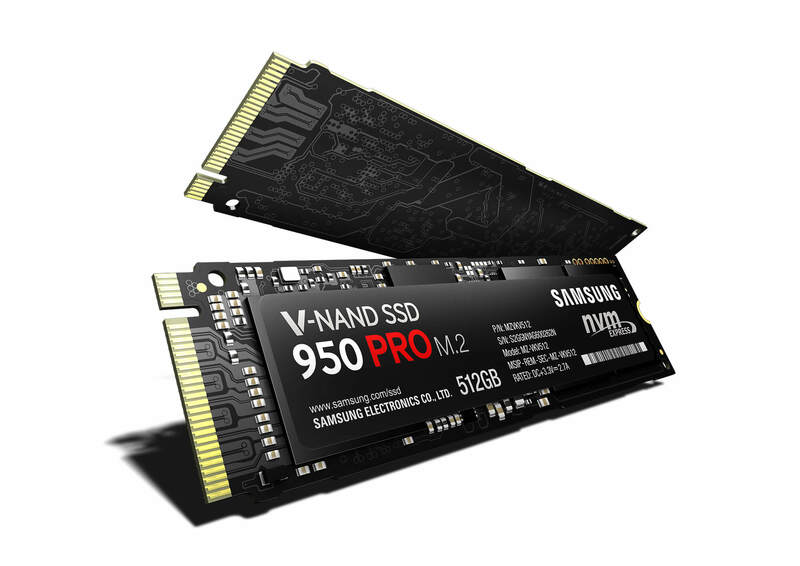 The new Pros are powerful machines, designed to handle any tasks hat you might be throwing at them, thanks to the latest i5/i7 processors, separate GPUs, 16GB of RAM (maximum), flash storage with 3.1GBps/2.2GBps read/write speeds and a display that offers better colors at higher brightness levels than the previous gen MacBooks. 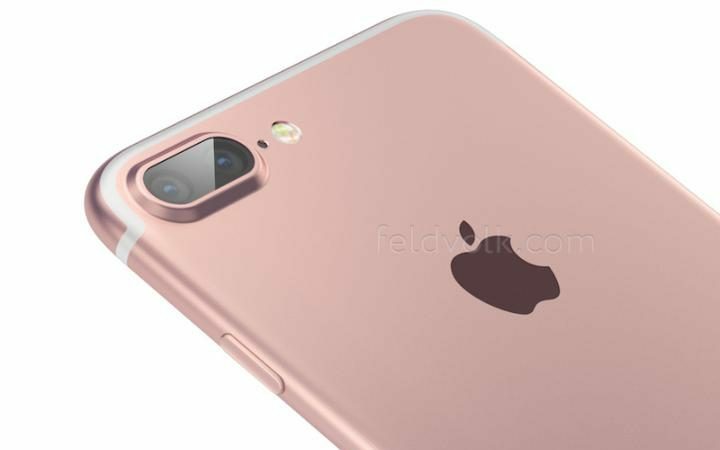 Take a look at these iPhone 7 live images that are stirring up brand new rumors about the upcoming Apple smartphone. What we have here is an iPhone 7 Plus/Pro in black, complete with the dual camera setup and POGO pins at its rear. True to what we had heard before, it seems like Apple has done away with the 3.5mm jack altogether. While the phone does look quite stunning in black, it has raised new questions. Things have become quite confusing as this is a 5.5-inch device with the dual camera setup, which is what we were expecting the iPhone 7 Plus or Pro to sport. According to previous reports, there will be only two versions of the iPhone this year and only the higher end Plus/Pro will have the dual camera setup, but not the POGO pins as we see here on this device. The smartphone seen in these images is clearly sporting both the rear POGO pins and the dual camera setup, which is countering the previously established rumors and reports. We will found out more on September 7, when the next iPhones will be reportedly unveiled. A YouTube channel named kk 低调 has just released a video on YouTube that apparently contains live shot footage of the upcoming iPhone 7 Plus or iPhone 7 Pro, whatever Apple chooses to call this one. The video spans for only 8 seconds unfortunately, but the quality of the video is really good and we urge you to take a look yourself, if you are interested in seeing the upcoming Apple flagship devices before time of course. We can clearly see the iPhone 7 in three colors in this video and they are grey, rose gold and silver. More interestingly, the iPhone 7 Plus seems to be sporting the rumoured dual camera setup as expected. In order to ensure that viewers know that they are looking at the bigger iPhone 7 and not the regular version, we can see the regular iPhone 7 neatly placed on top of the three bigger iPhones just for good measure! 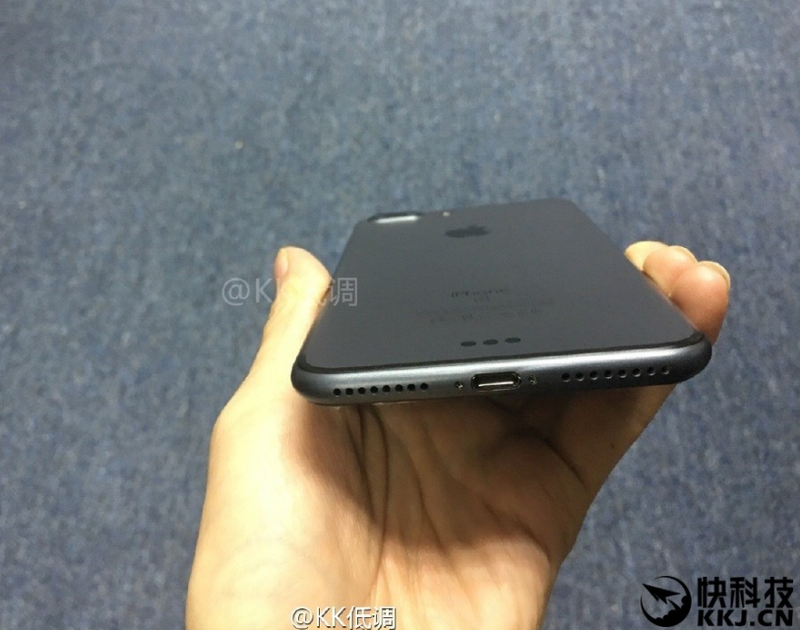 This proves that there will indeed be at least two versions of the iPhone 7 this year. Whether or not this is the Plus version or the Pro version, or if there even will be a Pro version of the iPhone 7 this year are all shrouded in rumors and mystery right now. According to latest reports leaked from Foxconn factories, It looks like Apple is preparing to unveil a bigger iPad this spring. Apple is working on a 12" iPad Pro that will be very similar to the current Samsung Galaxy Note Pro 12.2 (Photo below) which is already on the markets since last year. Virtual brush artist Martin Hajek has created the most realistic and beautiful representation of what Apple's upcoming iPad Pro or Plus might look like when it lands some time this spring, based on these leaks. In addition, the rumored stylus that will eventually accompany the tablet, makes a cameo for the first time. The stylus has borrowed the digital crown and biosensors from the Apple Watch, says Martin, and a slider is added for additional tasks. 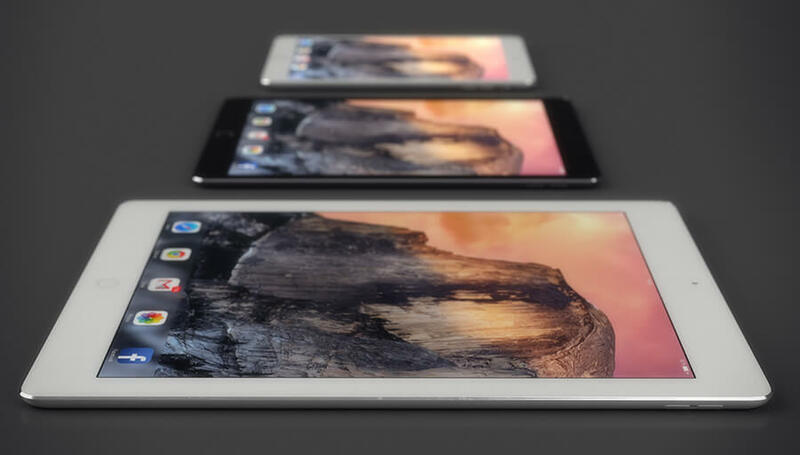 It is evident that the tablet will be quite a bit bigger than the current 9.7" iPad Air 2, but still we can reasonably expect to see again a thin, machined aluminum device, with the general shape and form you would expect from the renowned iPad line of tablets. The sources before pegged the slate's thickness at between 6.9-7.5mm, which is a pretty good achievement, and also confirmed the speculated four built-in speakers. So far, the rumored specs are for a 12.2" or a 12.9" Ultra high-res display, and a souped-up Apple A8 chipset, but the biggest difference might be in the software department. 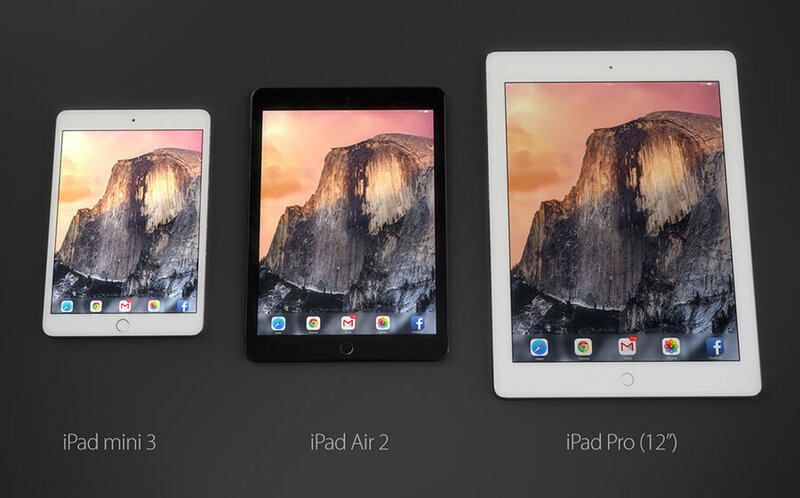 Remember the rumors that iPad Air 2 will feature a split-screen functionality? Well, these didn't materialize for Apple's mainstream tablet edition last year, so it might have been preserved for the more professionally oriented iPad Pro/Plus, or whatever the team from Cupertino decides to name it in the spring, when it is expected to be announced. While most users are eagerly waiting to get their Android devices updated to Marshmallow, there are some still stuck on KitKat. 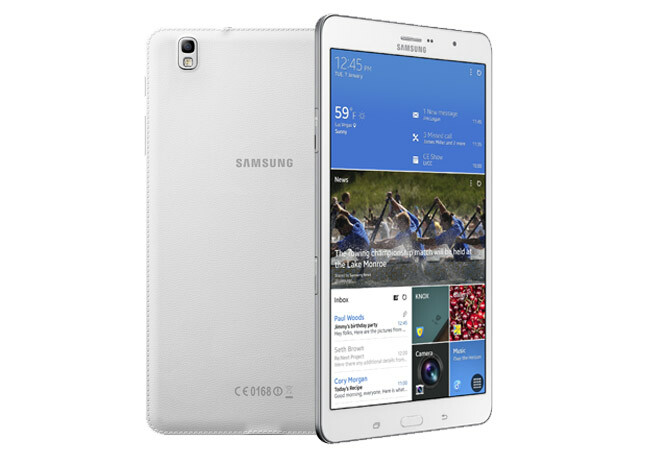 For example, Samsung's Galaxy Tab Pro 8.4 has not yet got any OS update, although last year it was launched with the Android 4.4. 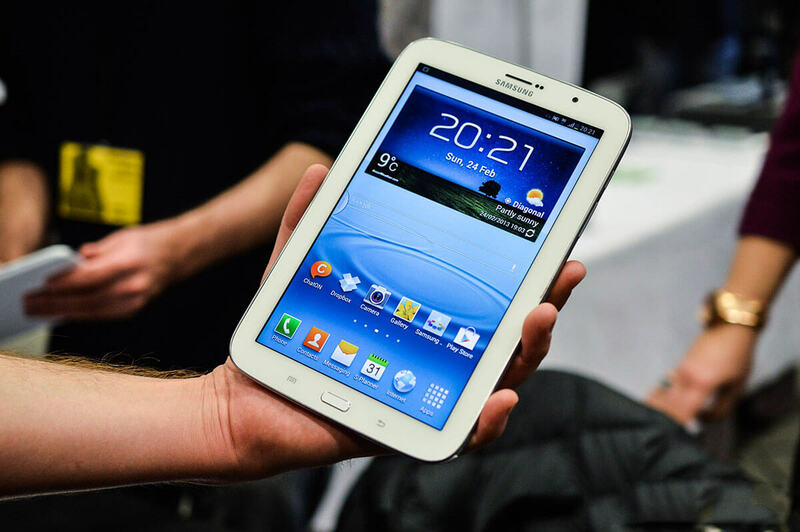 Hence, an owner of this tablet finally used Twitter to get the answer from Samsung's arm in the UK about a Lollipop or Marshmallow update for the Galaxy Tab Pro 8.4. The response from the Korean giant was "no". This tablet will never see an OS upgrade. 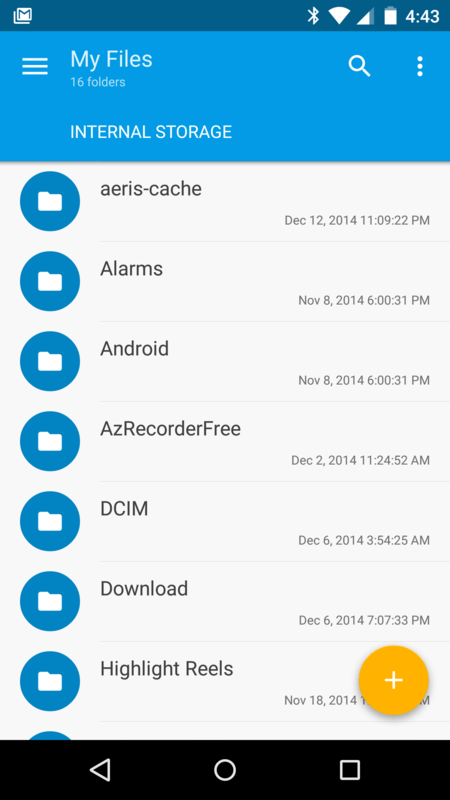 So no Android 5.0, 5.1 or 6.0 for the device. This essentially means support for this tab has terminated from Samsung's point of view. 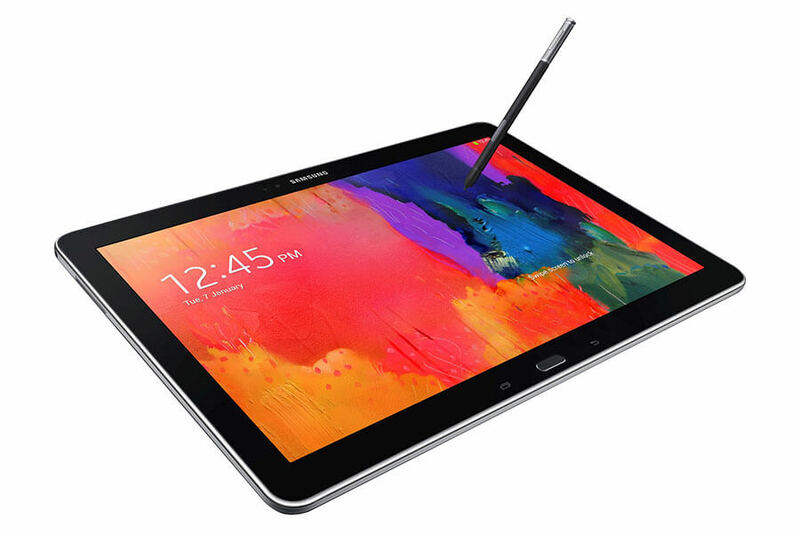 It's an interesting news, especially considering that the not much newer Galaxy Tab S 8.4 has at least Lollipop. This was done way back in April and it seems Tab Pro won't have the same luck. As a final word of advice, just remember that this information might only be valid for tablets sold in the UK, as it's Samsung's UK branch delivering this disappointing news. That said it is almost certain that there won't be any OS update for Tab Pro in any other region. 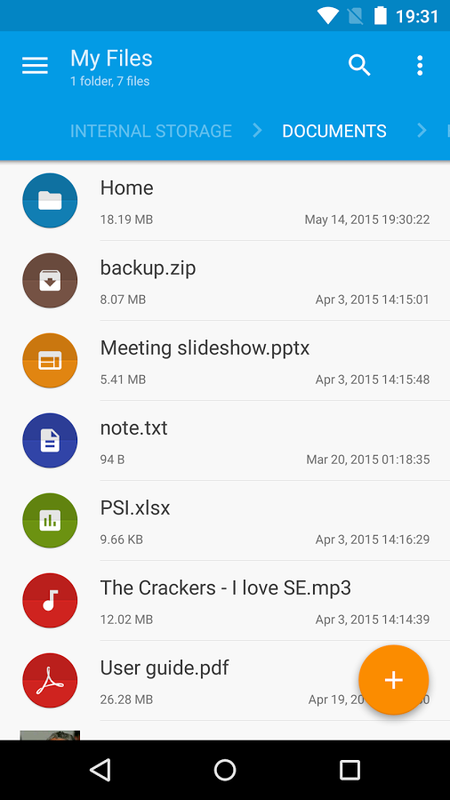 The Android 5.0.1 Lollipop update started seeding for LG G Pro 2 users in South Korea some 10 days ago. 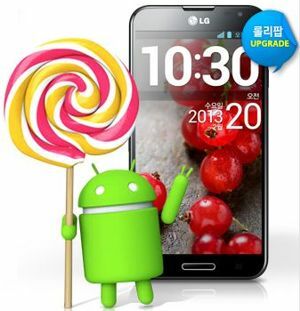 Today, LG is pushing the same update to Hungary and Europe. 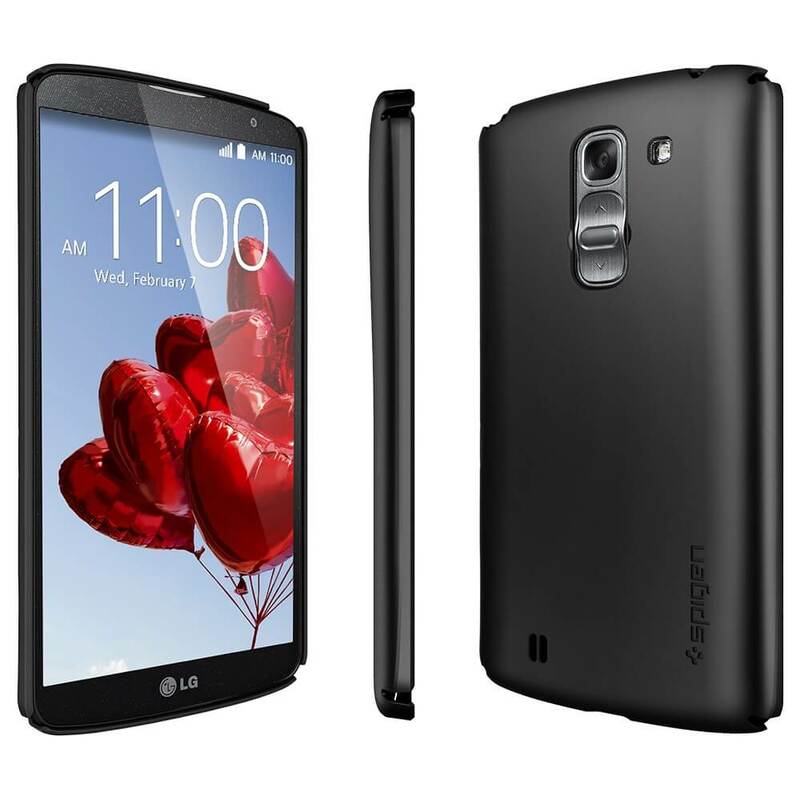 Weighing in at about 640MB, the new 5.0.1 Lollipop firmware brings a much-needed UI refresh to the G Pro 2, which was starting to look a bit stale and outdated with LG's now aged proprietary skin based on Android 4.4 KitKat. Among the changes are a re-designed notifications bar, refreshed icons, new software navigation keys, an overhauled recent apps menu, and many more. 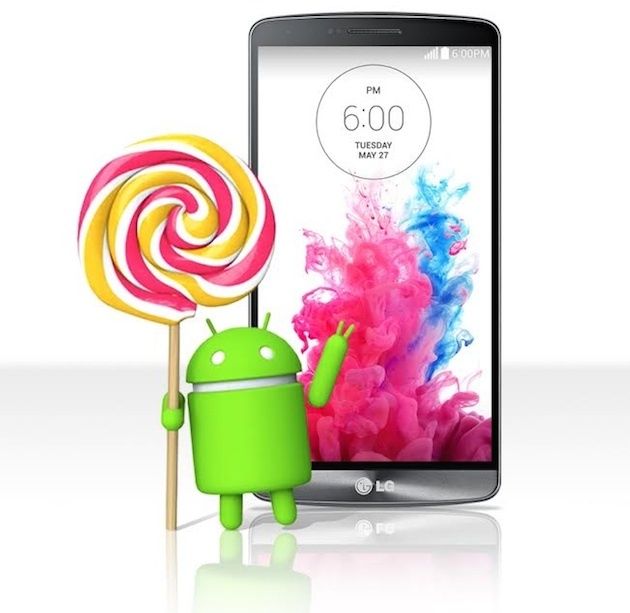 If you've seen the LG G3 with Lollipop on it, then you'll know exactly what to expect. Samsung has just started Rolling-out its Official Android 5.0.2 Lollipop update to the Galaxy NotePRO 12.2 LTE (SM-P905), this is the first Lollipop update the NotePro 12.2 got and surprisingly the LTE variant got the update before the Wi-Fi variant did. The Update is currently Available Over-the-air (OTA) and via Samsung KIES in Italy. Other Regions is expected to get the update in the next few weeks, Other NotePRO 12.2 variants (Wi-Fi - 3G) will get the same Update by Early next month. 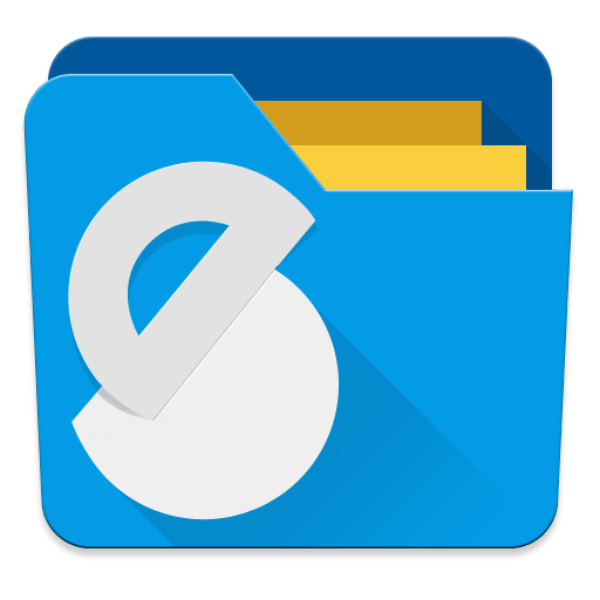 The Update packs Android build 5.0.2 Lollipop with lots of new features, improved multi-tasking mode, new lockscreen, new notifications panel, Updated TouchWiz UI for Tablets with Material Design UI along with the usual Bug fixes and performance improvements. You Can download the Official Firmware from our "YouFirmware" section below. SamsungGulf keeps disappointing the Middle-east users day after day, after announcing that the Galaxy Note 2 won't be getting the Lollipop in the Gulf states ONLY... Today the same firm made two new announcements regarding the Lollipop updates. The official facebook page of SamsungGulf replied to a query of some users, according to the firm, the Galaxy TabPRO 8.4 will NOT receive the official android 5.0 Lollipop update in the Gulf States. Even Though, Samsung confirmed the update for the whole PRO series and even released the Galaxy NotePRO 12.2 (Wi-Fi) Lollipop update. 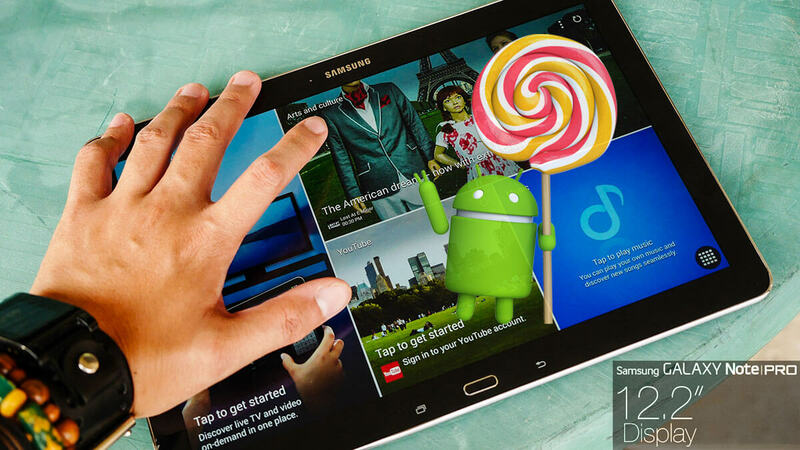 In another post SamsungGulf also said that Galaxy Note 8.0 will NOT receive the official Android 5.0 Lollipop too. However, this decision is for the effects the Gulf states and middle-east users only. Other regions will get the update. So far, there are more than 4 Samsung devices in the Gulf states that has been confirmed to NOT be getting the Lollipop update. Samsung Guld didn't give any reason why these updates are canceled as most of these devices are still new. We are already in April and Samsung has only just started to roll out the March security update for the Galaxy C9 Pro. Still, it's better late than never! The OTA update has the firmware version C900FDDU1AQC32, which will bring in a few minor performance improvements along with the much awaited security patch for the last month from Google and Samsung. As of now, the C9 Pro is only available in India, Vietnam, Hong Kong and China. 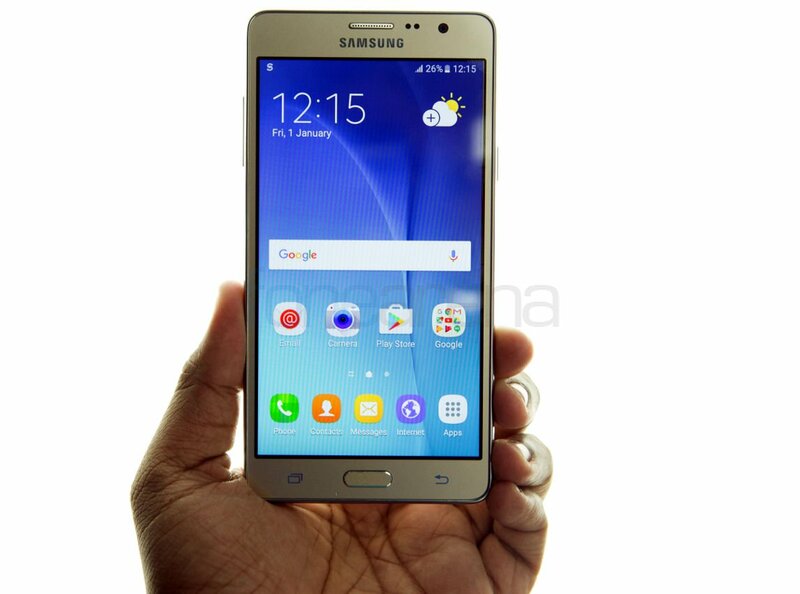 The rather large 6-inch handset is the only one in Samsung's arsenal yet to sport 6GB of RAM. 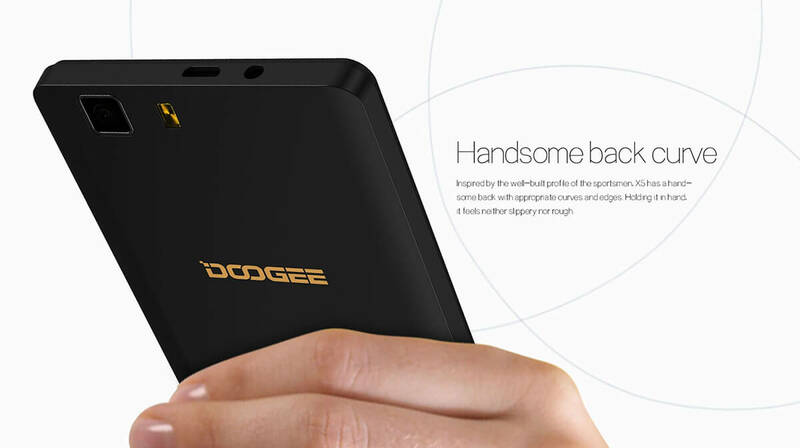 It also has an impressive 4,000mAh battery and a decent SD 653 chip. Unfortunately, it has not yet been upgraded to Nougat yet. The Nougat update is coming though, so stay tuned for more on that as we find out more. Also, Head over to our firmware section to find all the latest available updates for all your Samsung smartphones. Although the upgrade to Android Nougat is probably the update that all of you are waiting for when it comes to the C9 Pro, unfortunately, it isn't out yet. Nevertheless, the April SMR from Android, along with Samsung's own set of bug fixes for the Galaxy C9 Pro has just started to hit the high-end device. The report from The Android Soul did not specifically mention the regions receiving the updates currently, but chances are that all of the regions will start receiving the OTA update within a few days because there are only a handful of nations where the C9 Pro is being sold currently. 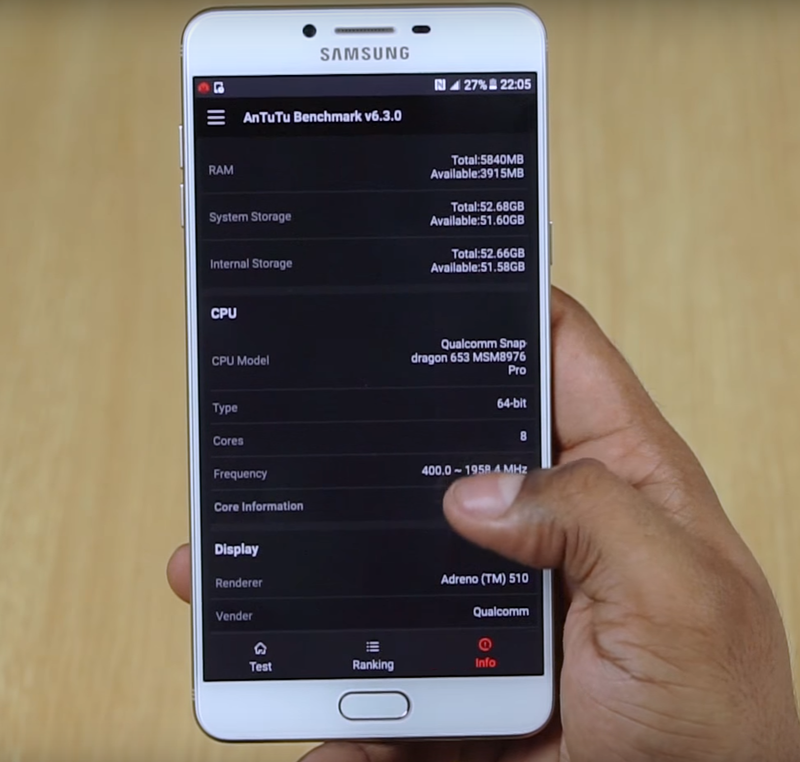 The firmware version of the update is C900FDDU1AQC5 and it should provide protection against all the latest threats to security posed by malware and hackers to the overall Android 6.0.1 Marshmallow OS and the overlying Samsung UI. Don't worry much about the Nougat update right now as the C9 Pro is guaranteed to get it soon (fingers crossed!). Also, the Marshmallow v6.0.1 OS runs pretty smooth on the SD 653 SoC and 6GB RAM, so you shouldn't have much to complain about. However, if you want to check out some custom ROMs and firmware updates from various sources, head over to our firmware section now. The Galaxy C9 Pro was Samsung's first phone with 6GB of RAM and it still continues to be one of the best high-end smartphones from Samsung in many regions. If you live in India and you own a Galaxy C9 Pro, we have good news for you because the handset has just started to receive Nougat 7.1.1 from the OEM. Post the download and installation, your interactions with the phone should become much smoother, as is the case with all devices that got upgraded to Samsung Experience 8.5 UI, along with Nougat. Have you received the update yet? If you have, do let us know about your experiences with it so far in the comments. If you haven't though, don't worry because you will in a few days. Updates are rolled out in batches and unless your phone belongs to the first batch, it may take a few days to arrive. Although you can always check for the OTA package manually from the settings menu, you don't really need to because you will get the notification automatically. November is not over yet and Samsung is still in the process of rolling out the Google security update of the month to its eligible smartphone models. The Galaxy J7 Pro is the latest on the OEM's list as the model just started receiving an OTA package with the November security patch a few hours ago. As of now, the update is only rolling out in Paraguay, but this is an indication that the J7 Pro in the other regions will start receiving the same release soon as well. This update (firmware version j730GUBU2AQJ3) patches six of Samsung's own UI related vulnerabilities and 61 of Google's Android OS bugs and gaps. In case you are wondering, it also patches the infamous KRACK Wi-Fi hacking vulnerability as well. If you are reading this in Paraguay, then chances are that the update will hit your smartphone any time now, if it hasn't already. In case you are lucky enough to get the same update in some other region, do let us know in the comments. 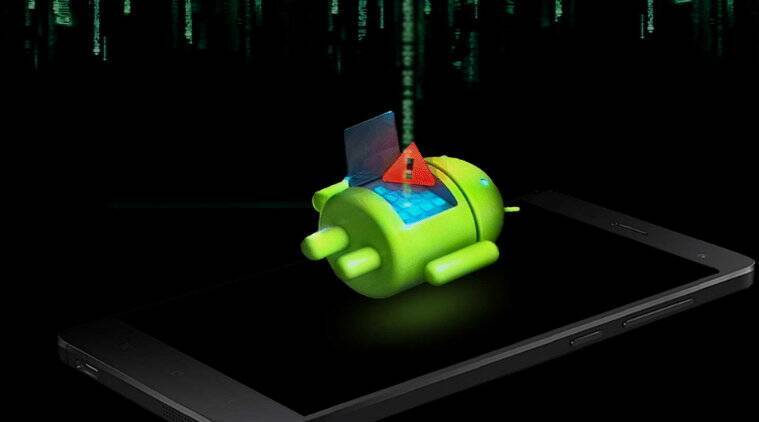 We are now used to seeing Android security patches of the month making their way onto budget Samsung smartphones first and this month is no exception to that recent trend either. However, instead of a device in the company's Galaxy A series like in the previous month, we have the Galaxy J2 Pro in May which is getting this month's security patch first among Samsung's recent arsenal of smartphones. 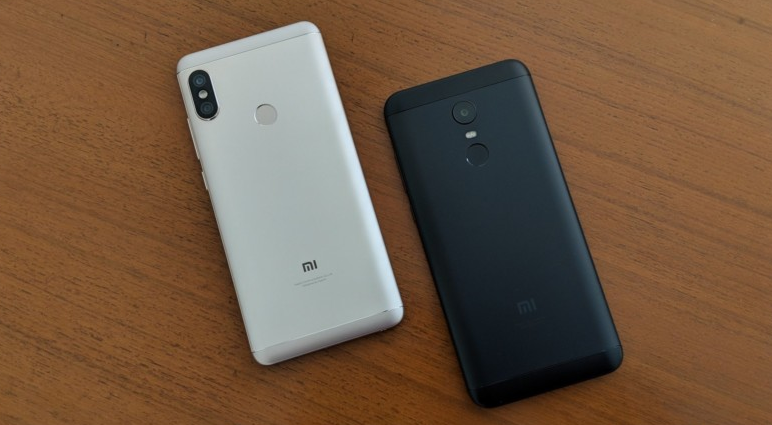 Although some are of the opinion that the flagships should be updated first, we think that this is actually a good move by the Korean OEM as it shows that they roll out updates as soon as they are ready, without prioritizing one over the other just for the sake of their price point. The update should be making rounds in Bangladesh as of now but if you are in any other region where the device is sold, it should not be long before the same OTA package makes its way onto your device as well. In the meanwhile, do check out all available updates for your Samsung smartphones and tablets on YouMobile's firmware section. The Galaxy J5 Pro (SM-J530Y) has just started to receive Android 8.1 Oreo, so if you have one, time to be jubilant. The firmware version of the major OS upgrade is J530YDXU3BRH6 and it carries the August patch with it thankfully. It isn't clear which regions are getting the update, but since the reports did not mention any specific region, it could be rolling out everywhere it was sold and that's more good news. If you have not seen the update arrive on your J5 Pro, just wait a bit longer and it definitely will.